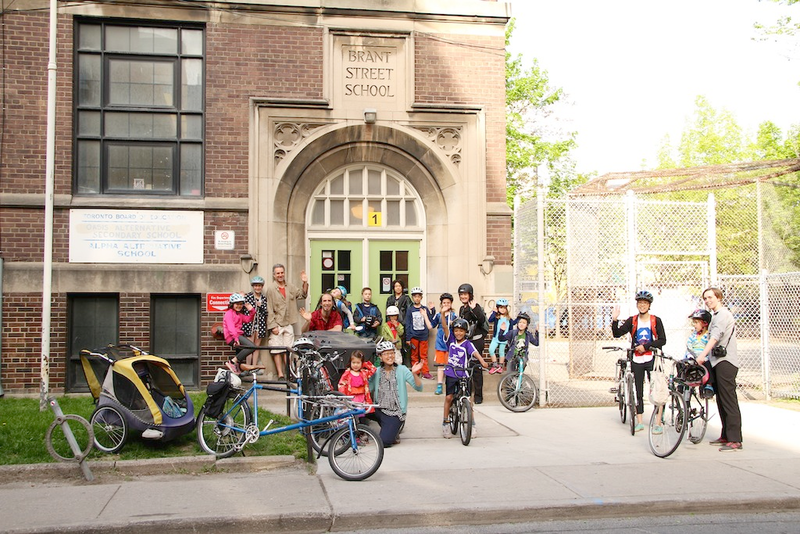 On Monday, students all across the TDSB kicked off Bike to School Week, which runs from May 25 to May 29. 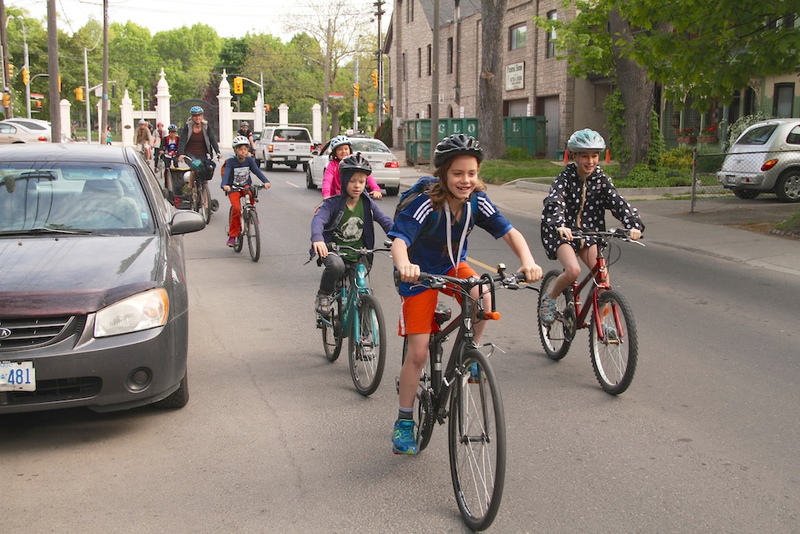 To celebrate, students of ALPHA Alternative School organized a group ride from the gates of Trinity Bellwoods Park to the bike lanes on Adelaide and ending at the school. 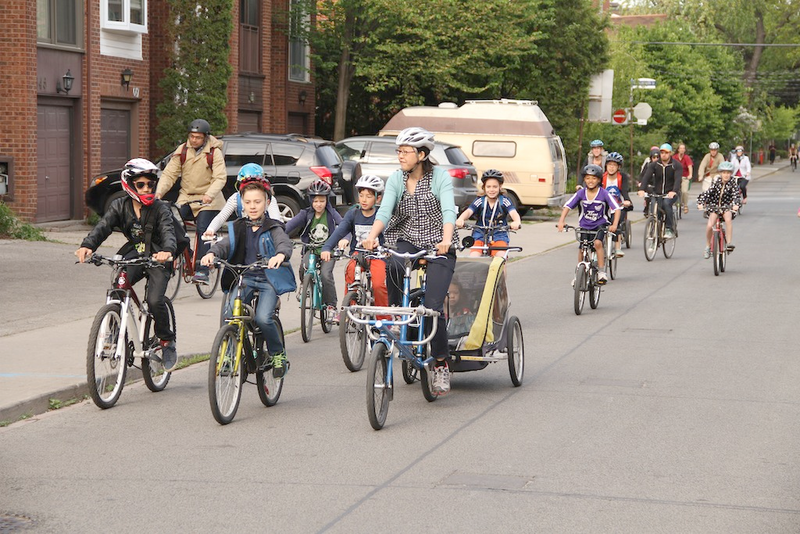 About 30 cyclists participated, including teachers, parents, and kids as young as age five. Bike to School Week is a part of Cycle Toronto’s Bike to School Project, which encourages kids to be active on their daily commutes to school. The project was initiated in response to troubling statistics indicating that the number of kids commuting to school by car has doubled since 1985, and that the incidence childhood obesity in Canada has more than doubled since the 70s. The Bike to School Project strives to counteract some of these statistics by demonstrating that biking can be a chance for kids to stay healthy, to spend time with their families, and to develop a sense of adventure and independence as they travel to class. 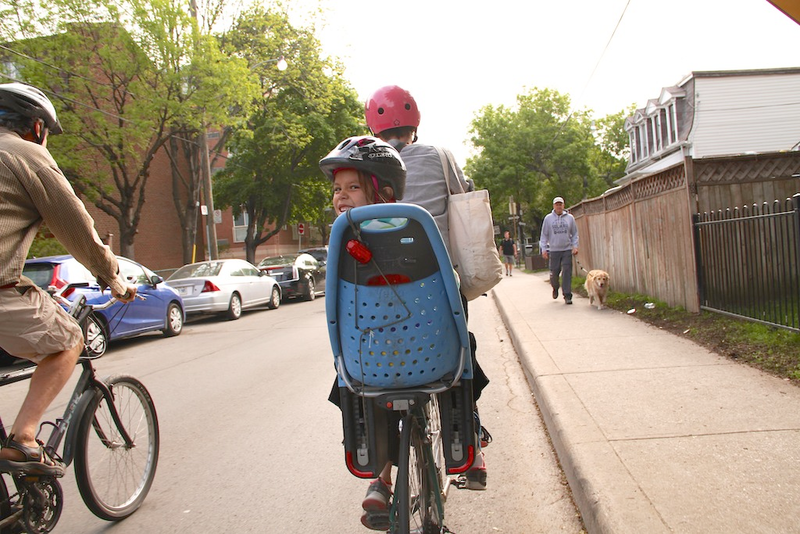 For the kids of ALPHA, who participated in Bike to School in 2014, this last year has seen cycling to school become a more practical possibility. 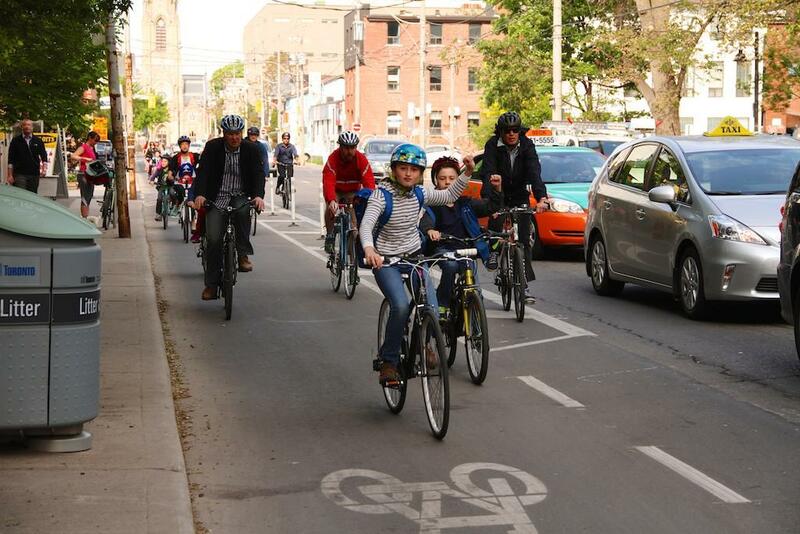 With the installation of bike lanes on Adelaide and Richmond Streets, ALPHA kids living on the west side of the city now have a relatively safe way to cycle to class. While construction in the Adelaide bike lanes still presents something of an obstacle, the landscape has become decidedly more bike friendly than it was. What’s needed now, however, is a way for ALPHA’s east end students to cycle safely to school. The proposed extension of the Adelaide and Richmond bike lanes to Parliament Street would certainly help, assuming that happens this fall. 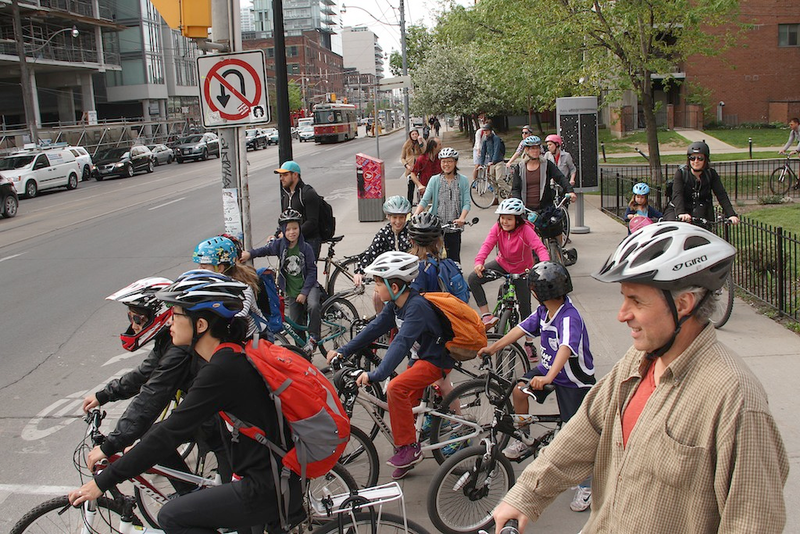 Lets hope it does and that Bike to School Week 2016 sees even more Toronto kids safely cycling to school as a result.